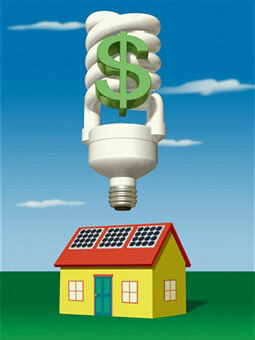 Be it summer or winter, home energy efficiency is an important and achievable task. One of the best ways to get started is insulating the home, so that hot or cold air does not escape from within. 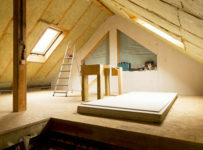 In fact, home insulation can be taken up as a DIY project, so that one does not have to worry about paying for professional service. This is provided one has some basic knowledge about the subject. Here are some home insulation tips and tricks that you can use this weekend to make your home energy efficient. Windows that are not properly insulated will cause heat to escape. Fortunately, checking for gaps and crevices around the window by moving butane lighter close to the window is quite easy. If the flame flickers, there is obviously some draught coming in through the crevice or gap. Stick tape all around the window, and then peel off the backing from the front part of the tape. Glue a shrink wrap film onto the tape, and make sure the film covers the area perfectly around the window and is properly sticking to the tape. Now, use a hair dryer to shrink wrap the film. As you warm it, it will shrink and tighten up. Use a utility knife to cut off excess film, and you are done. Some homes may have large gaps under the door, causing warm air from inside to make its way outside. You can fix a door sweep to the lower edge of the entrance hinge. This will prevent wind from entering the home. It also will stop pests, looking to escape from the cold outside, from seeking shelter at your expense. If you have a wooden floor in your home, then DIY draught-proofing should not be a problem. It will help to keep your home warm and also bring down your energy bills. Lift the floorboards carefully and place the insulating material between the joists. Make sure you support the insulating material with some proper netting. If needed, silicon sealants can be used to fill the gaps between the boards. When draught-proofing the floor, ensure that the floorboard’s ventilation is not blocked. This is especially true for bathrooms and the kitchen. If you insulate every part of your home, but overlook the electrical outlets, cold air will still make its way into your home. Electrical openings located on the exterior walls of your home are an inlet for the cold air outside. You can insulate these outlets by removing the outer plate and checking for gaps and space around the box. If there are gaps, fill them up with fibreglass insulation. Alternatively, you can use foam pads, too. This measure will help to reduce the amount of draught that enters your home through these outlets. 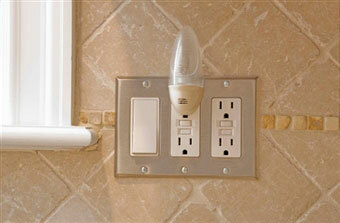 You can do the same for light switches located on the exterior walls. While most people pay a lot of attention to insulating their homes to tackle winter, they must be aware that summer can equally eat into their bank account if the air conditioning systems are used extensively. During the hot summer months, you can keep the interiors cooler by hanging heavy drapes on the windows. This will prevent the heat from entering your home, thereby ensuring a cooler interior. If you are not keen on having the drapes on, you can install some temporary tinting on the panes, which will work just like the drapes. Be sure to remove the tint before winter sets in, as you might like to have the warmth of the winter sun entering your home.